So Mi So is in hysterics. She’s sobbing and begging her husband to kill her as she should have never gone to her mother’s grave, never gone to the market, never let go of her daughter’s hand. This shocks Min Jae as Mi So repeats over and over that she doesn’t deserve to live. He tries to comfort her by asking her to pretend like this whole situation is a bad dream. Mi So isn’t comforted and can only clutch her chest and wonder if something happened to their daughter. Min Jae assures her that nothing will happen to their daughter. When Hae Ram gets home, they will take a long vacation to Hawaii where they went on their honeymoon. Mi So isn’t calmed down at all, but she does agree to the trip. She will buy her daughter tasty things and play with her all she wants. Kyung Soo likes awake morosely in bed and recalls Mi So calling him a good person and believing the side she saw at the orphanage to be his true face. Meanwhile, his mother-in-law is sitting up and recalling the scene with Kyung Soo and Mi So earlier. She then recalls Hae Ryung pleading with her to lie about Hae Ryung’s spinal disease so that Kyung Soo won’t abandon her. Yoo Jung then hears Kyung Soo get up and decides to have a late night chat with him. 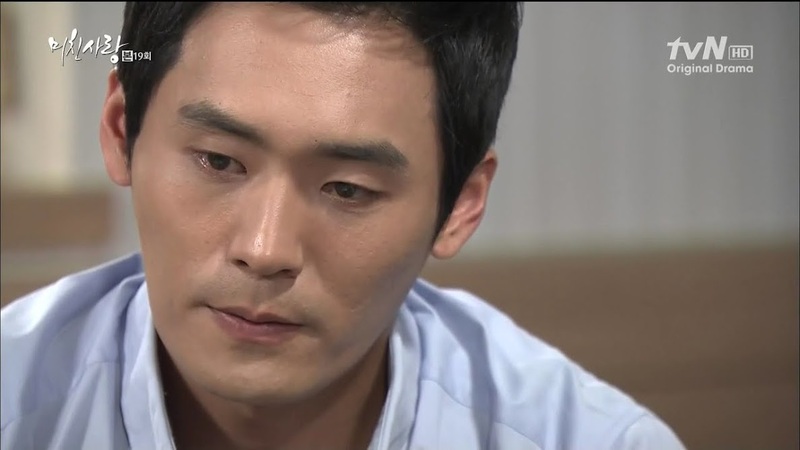 He’s having a difficult time because of Hae Ryung, right? Even so, Yoo Jung hopes that he can understand Hae Ryung better. Yoo Jung then says that she is thankful for Kyung Soo marrying Hae Ryung because the girl wouldn’t have been able to make it through the dark time when she was no longer able to dance. Kyung Soo mentions being the cause of this which makes Yoo Jung feel guilty. She then waves this topic off and pleads with Kyung Soo to be more understanding and pay more attention to Hae Ryung which she believes will help change Hae Ryung’s surly nature. Yoo Jung then nervously broaches the subject of Mi So. How is it that Kyung Soo has come to know Myung Ja’s daughter-in-law? This surprises Kyung Soo. Yoo Jung then tells him that she saw them talking in the neighborhood. Are they close? He gulps and stutters out that it isn’t like that. Mi So came to him as a client and he is helping her wipe out her debt problems. Really? Her family must have used those illegal private loans, huh? Omo. Does Yoo Jung know what her husband does for a living? I’m curious now. I’m also curious if these people will realize how murky and mired their lives are in this jumbled mess with everyone having a connection in some way shape or form with everyone else. This relieves Yoo Jung a bit. So they haven’t known each other long, then. Kyung Soo says he couldn’t pass by Mi So when he saw her suffering. That’s fine as she is going through a hard time, but he needs to be careful as women can misunderstand kindness. At breakfast the next day, Mi So is picking at her food when Myung Ja comes out and complains. Mi So says nothing to this and only asks her mother-in-law to eat and go to work. Min Jae seconds this and Myung Ja is livid. She turns to her daughter-in-law and tells her to eat a lot so she can bring more misery to someone else. Min Jae yells at her and Myung Ja complains about how she suffers every day because of Hae Ram missing. 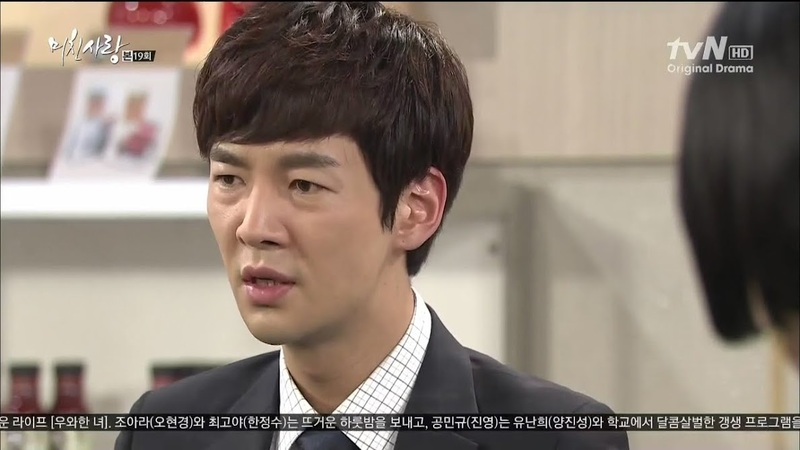 Min Jae asserts that he and Mi So suffer worse considering they are Hae Ram’s parents. Myung Ja huffs out and Min Jae tells his wife to sit down and eat and not worry. The lifeless Mi So sits down and Min Jae says that he will go to the police station and child center after work. Mi So needs to eat so she can keep up her strength and help pass out fliers. At the Oh household, Hae Ryung comes in and hands Kyung Soo the paper which has an article about the missing child. Does he think Hae Ram will come home safely? Kyung Soo replies she will and Hae Ryung says she is frightened. What if something bad happened to the child? Well…this proves she isn’t a complete lost cause. Meanwhile, even though Myung Ja is against the open investigation, she makes sure Ko reports it widely in every major site and newspaper. She then learns that their rival is coming up with a similar product. What bad timing! She picks up Na Young’s thumb drive. What to do? Min Jae is worthless since Hae Ram is missing and Myung Ja can’t bring Na Young back. What to do? Baek is at home watching TV when he sees the news report about the missing Hae Ram. He recognizes the Lee household and he recalls Na Young’s words about asking Kang Sik to destroy Mi So and to make sure she pays the Lee family back for everything. Baek isn’t stupid, this is why I love him, and he immediately puts the pieces of the puzzle together. He’s shocked, but who else could it be, but Na Young acting out again? The Yoon family are doing all they can with fliers, the internet, and phones. They are hopeful that the will soon get news about the missing Hae Ram. Of course, Yoon and Jong Hee bicker like always. Yoon then turns to his granddaughter’s picture and asks if she misses him. He misses her like crazy and wishes to see her. This, of course, makes Jong Hee and Chan Ki tear up. Na Young is at Baek’s place with some fruit. She is happily peeling and cutting food for him and instructing him to be a good boy and eat the fruit she put in his fridge. So…why did he call her? Baek throws the newspaper on the table. Na Young can’t hide her initial shock. When Baek asks if she knew, Na Young replies she did and that her heart ached for them. Baek then asks if she had something to do with it. Na Young is angry and indignant—how can he possibly think that? How can he not? Baek knows how badly Na Young wanted to be the Lee daughter-in-law and he knows how she ordered Kang Sik to do something awful to Mi So in order to kick her out. Didn’t she say she won’t stop until she gets what she wants? Na Young asserts that she would never do anything to a child like that, but Baek doesn’t believe this. Why? The night the child went missing Na Young came to his house drunk and crying about getting kicked out of CK. She got Kang Sik to abduct the girl, didn’t she? Why does he think that? Because she was freaking out when Baek found and interrogated Kang Sik. Of course Na Young insists to the end that she would never do such a thing to a child since she grew up as an orphan. Don’t believe her, Baek. Don’t!!! Na Young then cuts herself and Baek takes care of it. Curse you. Don’t tell me he believes her lies? We then cut to Min Jae who is unhappily arguing with Myung Ja. What are they fighting about this time? Myung Ja wants Na Young back because they are caught between a rock and a hard place. Min Jae asserts that he can handle things himself, but Myung Ja has no faith in him. Min Jae says it will only make things worse and more complicated if Na Young comes back. Of course, he then says he doesn’t care about the project and just wants to find his Hae Ram. Myung Ja doesn’t care as he needs to become president. After that he can do whatever he wants. Min Jae shouts at her to do as she pleases and leaves. Oy. We then cut to Na Young and Baek. Na Young confesses that she was jealous of Mi So and wanted everything the other girl had, but after this, she only feels badly for her. Na Young then says her mother must have been like Mi So when Na Young’s mother dropped her off at the orphanage. Since both she and Baek know the pain of losing their families, how can he think she’d inflict that wound on an innocent child out of anger and greed? Baek doesn’t answer this and only quietly tells her not to talk about this any more. Na Young goes back to her place where she recalls Baek’s accusations. She tears up, but soon gets distracted by Myung Ja’s call asking her to come see her. Na Young is happy to be taken back on until at least the project is finished. Since the odds are against CK, Na Young needs to finish what she started. Na Young promises to do so and Myung Ja also warns her to keep business and personal matters separated. Myung Ja also warns her htat she will not be rehired. Na Young says she is okay with this and then tells Myung Ja that she was sincere about Min Jae who then comes in and his NOT happy about Na Young’s presence. He storms out followed by Na Young. Na Young assures that she is doing everything for Min Jae and doesn’t care about her own pride or the rumors flying around. She says that her helping him out of this tight spot is her trying to make up for all that she did. Min Jae says he understands and tells her to leave. Na Young does so very happy as she warned him before he couldn’t escape from her. How gullible. Kyung Soo meets with his father-in-law who gives him three months to get rid of all the tenants in his newly required building. Kyung Soo warns Oh that is too fast, but Oh won’t listen. Oh then asks his son-in-law out to unwind, but Kyung Soo refuses as he has plans with his wife. This makes Oh happy. He then takes out his wallet and hands over his credit card which Kyung Soo is reluctant to take, but Oh insists. Mi So is at a market handing out fliers for the missing Hae Ram. When a man angrily scolds her for losing a child Mi So gets upset and starts yelling at him. Enter Hae Ryung and Kyung Soo. The man calls her a mental case for losing her a child and shoves her to the ground. Hae Ryung is livid and goes over to start yelling at the man for not having sympathy for the hurting Mi So who has lost her child. Does he not fear the wrath of heaven? Omo. Never though I’d love Crazy Wife so much, but she has her usefulness. I guess…at least she’s not as bad through and through like Na Young. Anywho, the irate older man goes to slap Hae Ryung for interfering when Kyung Soo comes to his wife’s and Mi So’s rescue. He catches the man’s arm and twists it behind his back. Why can’t he act his age? The angry man walks away and Hae Ryung goes to help Mi So up. Hae Ryung fusses over Mi So who looks so pale and thin. She takes up the fliers to help and tells Mi So she will drag her back to their place for dinner. We then have a long stare between Mi So and Kyung Soo. True to her word, Hae Ryung does drag Mi So home for dinner. Yoo Jung expresses her sympathy while Hae Ryung says that since she has so much free time, she will help search for Hae Ram and if Mi So needs anything, Kyung Soo is a lawyer and can help. Yoo Jung then tells Mi So that she needs to stay strong as she is certain Hae Ram will return. Isn’t this horrible? Kyung Soo’s family treats Mi So better than her own. I’m sure that won’t last long with Kyung Soo’s feelings and the suspicion that Mi So is Yoo Jung’s missing daughter. Mi So walks home thinking about Yoo Jung’s words while Yoo Jung pulls out a bracelet identical to Mi So’s and cries over her missing Da Hae. Awww. Meanwhile, Hae Ryung talks about how she tried hard not to cry in front of Mi So who was being so strong and brave. Hae Ryung then sees Mi So’s phone and hands it over to Kyung Soo ordering him to hurry and chase her down before she gets home. LOL. How twisted this is getting. Na Young arrives at the Lee house in time to see Kyung Soo rushing up to Mi So to hand her the phone. He ran all the way there for that? Kyung Soo says that given the situation, Mi So needs her phone on her at all times. Mi So then thanks him and his family for everything they’ve done. Kyung Soo then asks for her hand and takes it in his own. End episode. Wonder how Na Young will use this against her? I don’t have any time tonight to get to 20 which promises to be good.